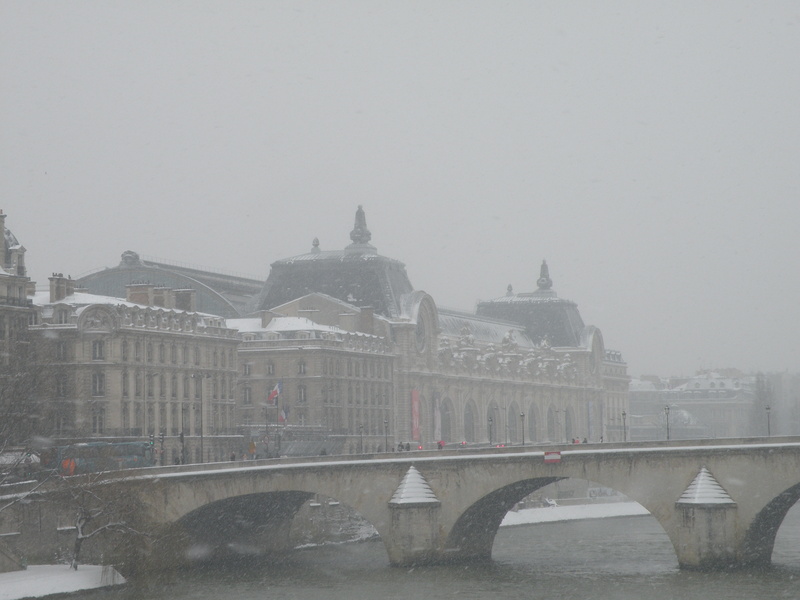 One of the places that I was the most excited about visiting when I returned to Paris in 2012 was the Musée d’Orsay. It was there that I first realized how much I loved the works of Auguste Renoir; his rich blues and reds, the way he captured shadows and sunlight reflecting through the trees, the sweet expressions on children’s faces, the way he arranged flowers in a simple vase to light up the room. The d’Orsay collection introduced me to The Swing, Bal au Moulin de la Galette, and Country Dance, City Dance. However, much to my disappointment, during the renovations over the past two years, the d’Orsay changed out much of their Renoir collection. Of course, this is what museums are supposed to do! They have thousands of paintings and sculptures but not much space to display them. In addition, the last time they changed their Renoir collection, they added the very paintings that I love. The current collection has some of Renoir’s final works at time in his life when he was overcome with arthritis and cataracts. Because of his limited physical abilities, his brush strokes changed as well as his technique. He moved to Cagnes-sur-Mer on the Mediterranean coast in 1907 and painted here until his death in 1919. Some of the more well-known paintings from this period are Bathers, and Young girls at the piano. Fortunately, Renoir’s most famous painting, Bal au Moulin de la Galette, still holds a prominent place in the Impressionism Collection on the Niveau supérieur (5th floor). I’ve come to realize through this experience that our preference for an artist and his works is affected very much by the current collection in the museums that own these works! I’ve posted a previous picture I took of the of Moulin (2005) in the former Impressionist Gallery to highlight the incredible transformation of this painting with the newly renovated dark blue walls and direct lighting (2014)! The newly renovated Van Gogh Gallery has also greatly improved the Van Gogh collection. 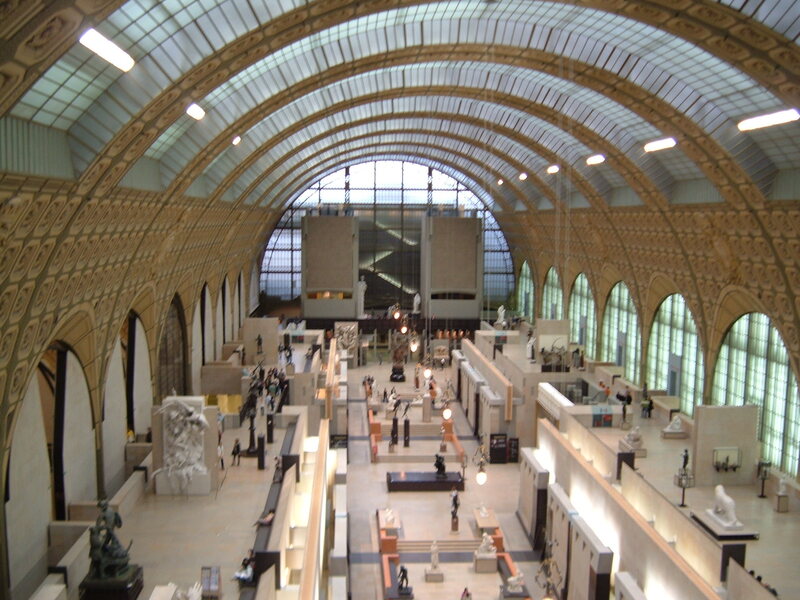 The museum has pulled together all of his works into a separate section on the Niveau médian (2nd floor). Van Gogh’s works are displayed on dark blue walls with single spot lighting on the paintings. His blues and golds are mesmerizing in L’eglise au Anvers and Fritillaries in a Copper Vase. This collection is definitely worth the price of admission and 2 hours of standing in line! ***The Musee d’Orsay has now prohibited all photography in their museum so these photos are from previous exhibits (Jan 2013). Reblogged this on My French Quest.